You better! We like nothing more than going out fishing in Australia, catching the Striped Marlin, Mackerel, Giant Black Marlin, Swordfish, Yellowtail Kingfish, Yellowfin Tuna, and of course, everyone’s favourite: the Australian Snapper. The Australian Fish is not the easiest fish to catch. She is feisty, almost always angry and determined to escape. She isn’t one to concede defeat in a hurry. 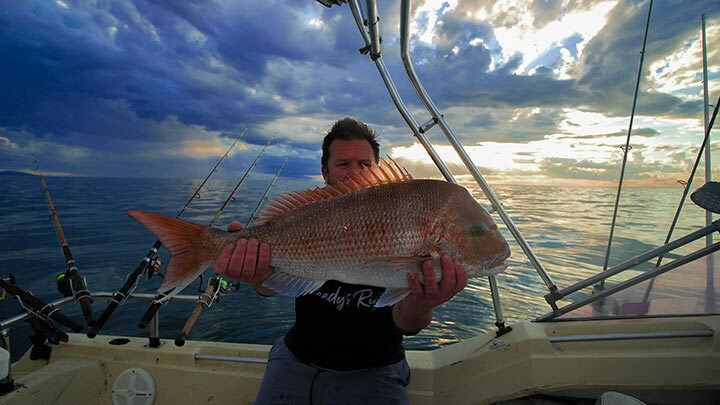 If you’re going to catch a Snapper – it’s time to get serious! 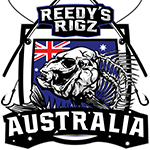 Get the right fishing gear – don’t go anywhere in the water without the New Reedy’s Rigz T-Shirt, from the company that makes the Reedy’s Ultra Rigz, Reedy’s Flasher Rigz and other best selling fishing equipment. 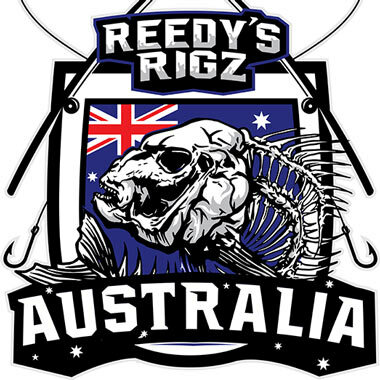 The Reedy’s Rigz T-shirt is a perfect fishing T-shirt for the Australian waters. It is uniquely Australian and tells a story with custom graphics, amazing quality and unmatched comfort. It’s a high quality T-shirt with the brand new Reedy’s Rigz logo on it. It is available in only one colour – BLACK. Why black? Why not black? There is nothing more attractive than a beautifully designed black T-shirt. While this fishing T-shirt is printed in Australia, it is made in China. Yes, we know! We wanted to make this T-shirt in Australia so that the money would stay in Australia. But what can we really do about? We are a family-owned Australian small business and have to compete in a crowded marketplace with our competitors on price. Most T-shirts in Australia are made in China AND printed there as well. The Reedy’s Rigz T-shirt is printed only in Australia. That should make you happy! You’ll love the quality of our print; it is simply exquisite. This is just a great fishing T-shirt for this summer. You’ll look just as great wearing this T-shirt at home or at a party as you would when fishing. It’s incredibly comfortable and made from 80 percent cotton and 20 percent polyester. And yeah, it has the picture of a mean looking Snapper fish staring grimly at you and the Australian flag in the background. Very Australian! How much does the Reedy’s Rigz T-shirt cost? Not much, only $25! Buy the Reedy’s Rigz T-shirt Now!